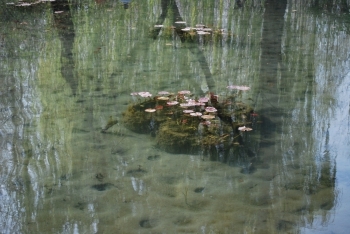 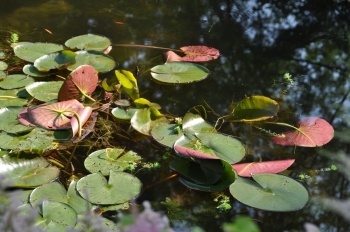 Water lilies are summer flowers. They like a warm water and a lot of sunshine. 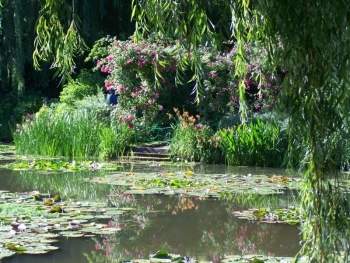 In Monet’s garden at Giverny, the Nympheas that grace the pond are at their peak. 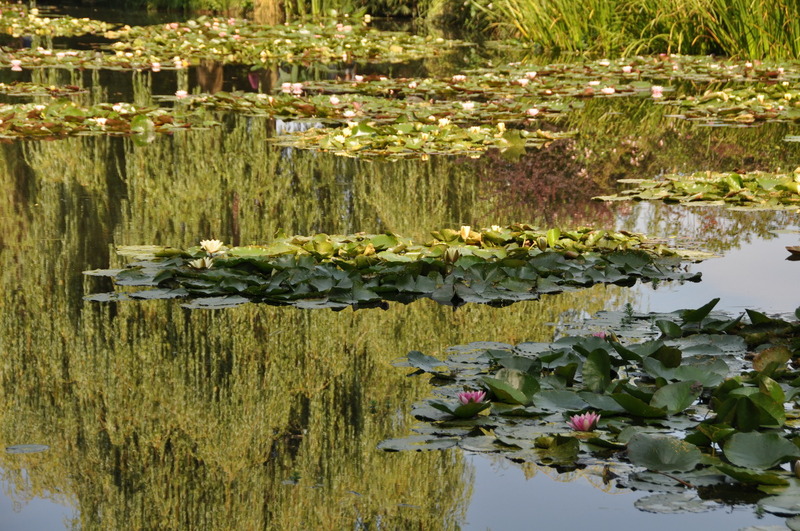 Their crowns of pale petals reflect in the changing colors of the surface, creating harmonies that inspire the many painters visiting the gardens. Walking around Monet’s pond in summertime gives a strange feeling of deja vu. This place especially, where the long branches of three big weeping willows reach the surface of the pond, offering views on to the blooming water lilies, looks familiar. Claude Monet loved this spot that he painted over and over again, and that is even featured on the huge Grandes Decorations at l’Orangerie. 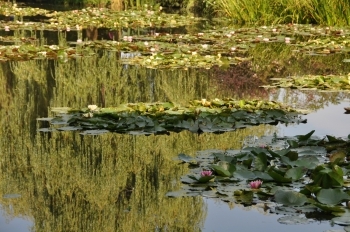 The vertical lines mixed with the floating water lilies and the reflections on the surface of the pond challenged his command of perspective. 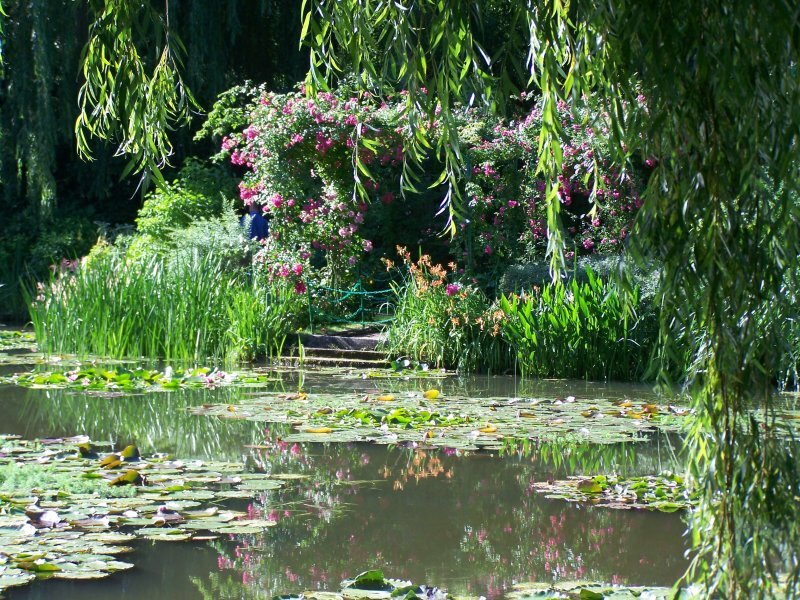 In his water garden at Giverny, Claude Monet had a dock adornated by arches of climbing roses. 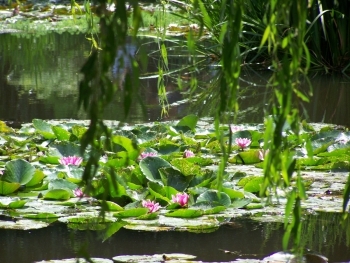 It is especially beautiful in late June when the roses are in blossom, adding their pink to the greens of the foliages. 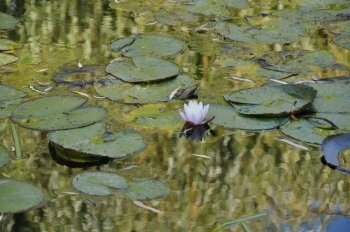 At Monet’s time there was a boat anchored at the dock. 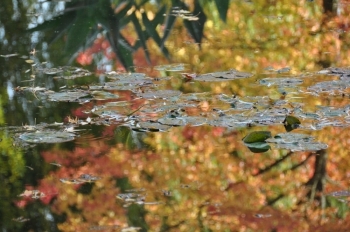 It was used mainly by the gardener devoted to the water garden. This gardener had a special job: every morning he had to wash the water lilies. 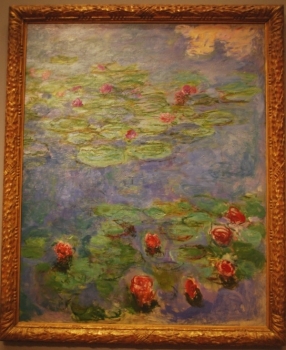 The road nearby made them dusty, Monet who wanted to paint them, wanted them to be clean. 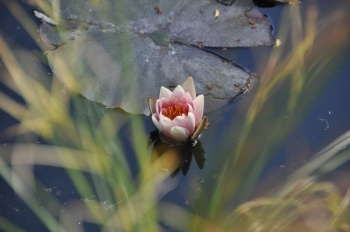 The gardener used to get up very early in the morning, before the master would come, and tour the pond in the boat to push the flowers under the surface with the row to clean them. 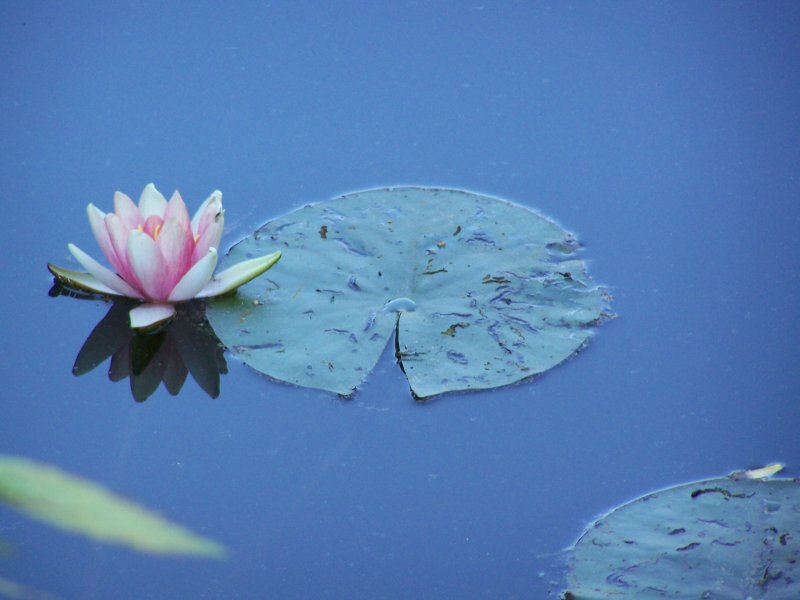 Water lily washer, isn’t it a poetic job? 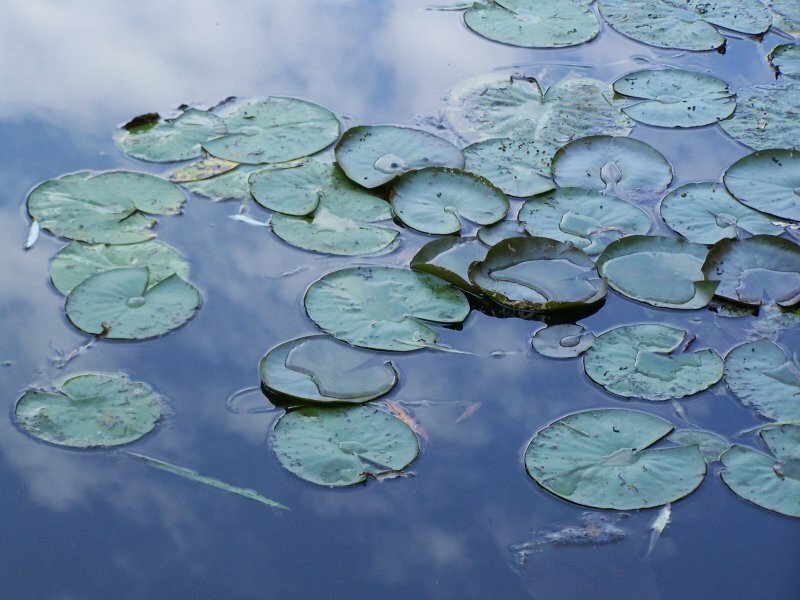 Monet was fascinated by the reflection of the sky and the clouds. 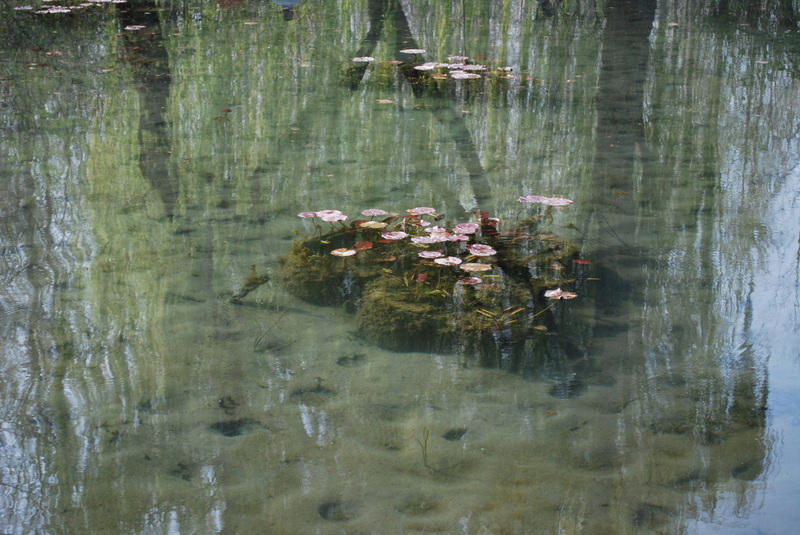 When the water is absolutely still the surface of his lake is a perfect mirror. The Nympheas seem to hang in the blue sky.